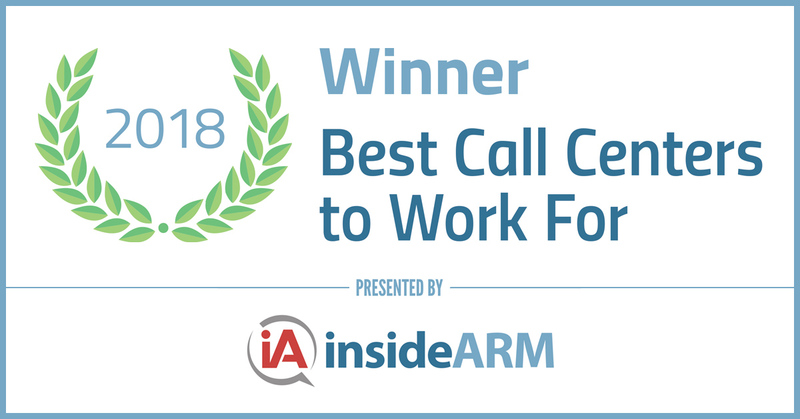 Professional Finance Company is proud to announce our recent recognition as one of the 2017 insideARM Best Call Centers to Work For. Since 2008, PFC has been selected six times for this award (previously Best Places to Work in Collections). The Best Places to Work program was designed to celebrate and recognize excellence among work environments in customer service, collections, and outsourcing. This year, just 29 companies in the country met the selection standards. This year marks the first time PFC qualified as a Large Company (150+ employees) through insideARM’s survey and placed second in this category. As a six time recipient, and for the third year in a row, PFC is honored to be recognized nationally as one of the best places to work in the accounts receivable management industry, and is committed to continuing our industry leadership in best employment practices. Companies from across the U.S. entered the rigorous two-part survey process to determine the Best Call Centers to Work For. The first part consisted of evaluating each nominated company’s workplace policies, practices, philosophy, systems and demographics. The second part consisted of an employee survey to measure the employee experience. The combined scores determined the top companies and the final ranking. Without question, the heart of PFC is our employees. We ensure our team members feel valued, empowered and equipped for job and career success. As our most valuable asset, we invest heavily in our team’s continuing education, skill building, and training; and equip them with the industry’s most advanced and innovative technology. Each team member receives a high level of support from their supervisors and colleagues, and enjoys being part of a collaborative team. The outcomes are satisfied employees, delighted clients and respected consumers. In addition to being a selected as one of the Best Places to Work in Collections for six years, PFC is also honored to be an HFMA Peer-Reviewed company for over five years and maintains our status as a PPMS Certified Agency (Professional Practices Management System) through ACA International (The Association of Credit and Collection Professionals) for over fourteen years. These accolades represent PFC’s commitment to our core values of Integrity, Accountability, and Professionalism, which are instrumental to our company’s and employee’s continued success.